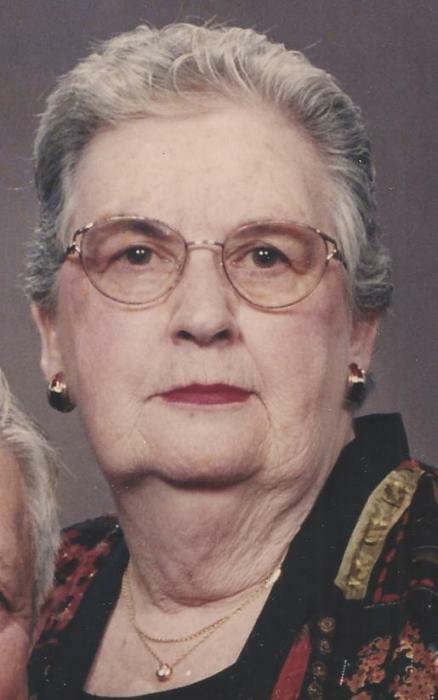 Sue Madeline Bowers, 86, of Grantsville, MD, died Monday, April 15, 2019, at Goodwill Mennonite Home, Grantsville. Born April 10, 1933, in Grantsville, she was the daughter of the late Sylvan and Flossie (Broadwater) Durst. Mrs. Bowers was a 1951 graduate of Grantsville High School, where she played trumpet in the band and excelled in basketball and baseball. She was a baseball pitcher, who could really throw some heat and played on many community baseball teams. She tried out for the All American Pro Girls Baseball League, as featured in the film “A League of Their Own.” All though she was not chosen, she was proud of her accomplishment. Her love of sports continued throughout her entire lifetime. She enjoyed college basketball and football; professional baseball and football, following the Pittsburgh Pirates and the Pittsburgh Steelers; and followed NHS sports. After graduation from high school, she attended and graduated from Hagerstown Medical Secretarial School as a Medical Secretary. She worked for various Cumberland Orthopedic and Vascular Surgeons and retired in 1984. She was a 73 year member of St. Paul’s United Methodist Church, Grantsville, where she sang in the choir and served on many church committees. She was a 50+ year member of Mountain Chapter #15, Order of the Eastern Star. She was a very honest, confident, reliant and strong woman, who will be greatly missed. Thanks for the wonderful memories that will be cherished and adored. She is survived by her husband, Harry Robert Bowers; two daughters, Pam (John) Braskey and Kim Kamp, all of Grantsville; one sister, Peggy Robertson, Grantsville; one sister-in-law, Betty Durst, Elkins, WV; three grandchildren, Ryan (Shannon) Folk, Tara (Eric) Braskey Chapman and Dana (Greg) Braskey MaBee; five great-grandchildren, John and Luke Reinhardt, Cole Folk, Blake and Grace Chapman; and numerous nieces and nephews. The family would like to thank the Goodwill Mennonite Home Staff for the wonderful care given to Sue. Friends will be received at the Newman Funeral Homes, P.A., 179 Miller St., Grantsville, on Wednesday from 3-6 p.m. Mountain Chapter #15, O.E.S. will hold a memorial service in the funeral home at 6:00 p.m. Funeral services will be conducted in the St. Paul’s United Methodist Church, on Thursday, April 18, 2019, at 10:00 a.m. with Pastor Russell Zang officiating. Friends may call at the church one hour prior to the service. Interment will be in the Grantsville Cemetery. Expressions of sympathy may be directed to the St. Paul’s United Methodist Church, P.O. Box 539, Grantsville, MD 21536.